The VS-41HC is a high-performance switcher for HDMI signals. It switches any one of the four inputs to a single output. High Bandwidth - 6.75Gbps (2.25Gbps per graphic channel). Controls - Front panel & IR (included). 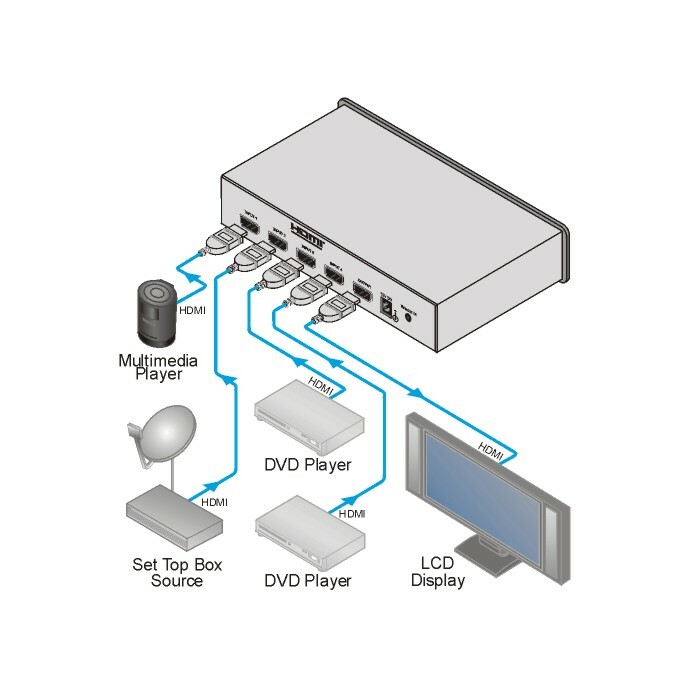 Video Mute - Output disconnect.